My Pieces of Time: Giveaway Time at Once Upon A Sketch!!! Time for a giveaway here at Once Upon A..Sketch, because we are feeling a little generous and just to thank you for your support.. Scrap That! 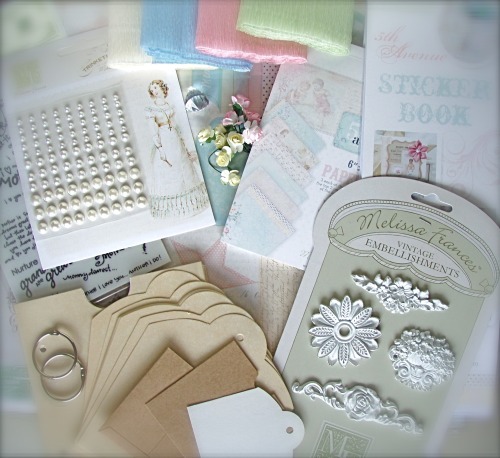 scrapbooking and paper crafting kits are unlike any others in Canada but we also ship internationally! Each month we create a unique and innovative kit FULL of carefully selected high-end, double sided papers, specialty papers, premium embellishments and often include one-of-a-kind specialty and handmade items you won’t find anywhere else. We include a signature product every month for you to collect, a scrapbook layout sketch, and one technique type product including instructions and tips on how to use it. Our mission is to nurture your creativity by providing the best products available, at a reasonable price to get the most out of your scrapbooking budget. Each month you will receive tips and tutorials, as well as the support of our design team and our online community. 3) Link your blog, or Facebook Page or wherever you posted about this giveaway on the bottom of this post using the Inlinkz button. Gorgeous work as always Patti!